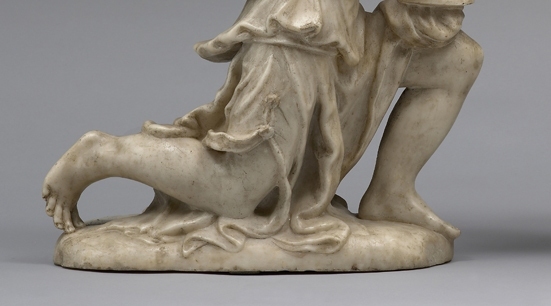 Home » Events » CELEBRATING OUR 20th TEFAF ANNIVERSARY! Cesati stand will have once again a highly relevant position in the layout of the fair, since it will be situated immediately after the right entrance of the exhibition. – a spectacular South-German baroque Strongbox with two armorial shields, the Imperial double-headed Eagle and a medallion depicting Archduke Leopold Wilhelm of Austria. Due to the quality of the decoration and the elegance of the engravings, the strongbox is the result of a collaboration between an excellent locksmith and an outstanding goldsmith, a typical feature of Nuremberg tradition. – an extraordinary Pair of Angels carved in Carrara marble, recently reattributed to the sculptors Gian Giacomo and Guglielmo della Porta and made during their Genoese activity, when they also received many important commissions for the Cathedral of the city. -a Pair of intriguing Allegorical Paintings with a mysterious meaning recently unveiled. The painter is a curious artist active in Lombardy between the second half of the 17th and the early 18th century, known as the Master of the Fertility of the Egg. – a large Florentine terracotta high-relief, commissioned to celebrate the birth of a son of the couple Rospigliosi – Degli Albizzi, by Girolamo Ticciati, an important pupil of Giovan Battista Foggini and a celebrated artist at the Medici Court. The work is also a new and relevant proof of the artist’s early career. 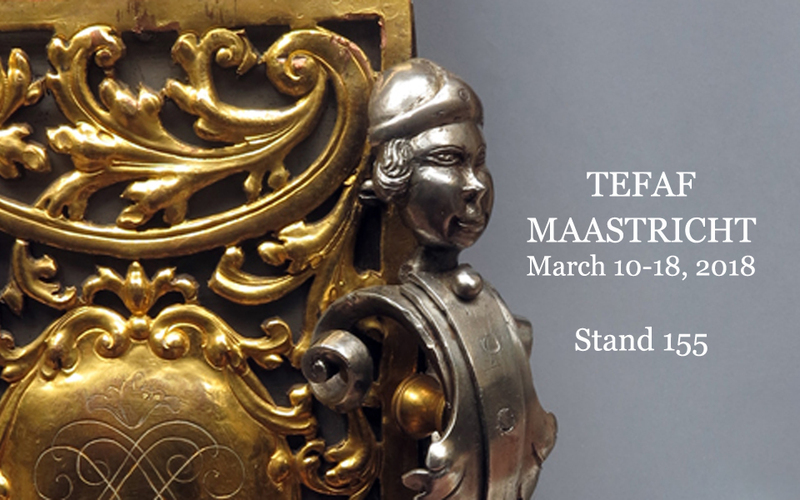 TEFAF Maastricht will host more than 280 of the world’s finest art, antiques and design dealers, who will bring their very best pieces to the 2018 edition. Each section presents some of the most outstanding examples of fine and decorative arts available on the market: our section, TEFAF Antiques, is the largest of the fair, comprising 90 dealers. Also with our contribution, sculpture from across the centuries will be particularly well represented at the 2018 Fair.